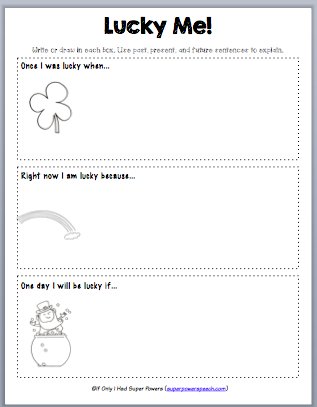 Speechie Freebies: Lucky as Can Be! Are you lucky? Sometimes I feel like it! When I look out into my new home and see my healthy kids and know that there is food in my fridge and a car full of gas, I feel very, very lucky. 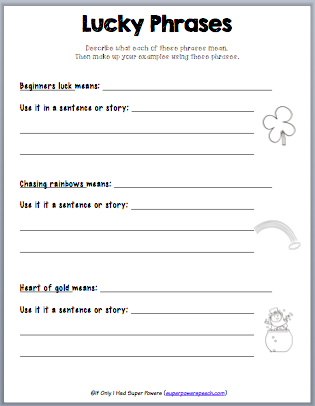 Here is a free activity for you that includes 3 worksheet for 3 different levels of students. Level 1 is intended for PreK (approx 4 years old) through 1st graders. Level 2 is intended for 2nd through 3rd graders. Level 3 is intended for 4th through 5th graders (or middle school). These are black and white and ready to just print and go. Hope you and your students feel lucky too! 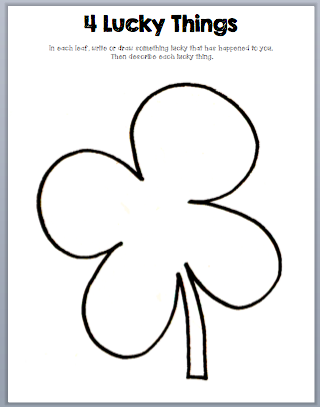 Get these free activities here.